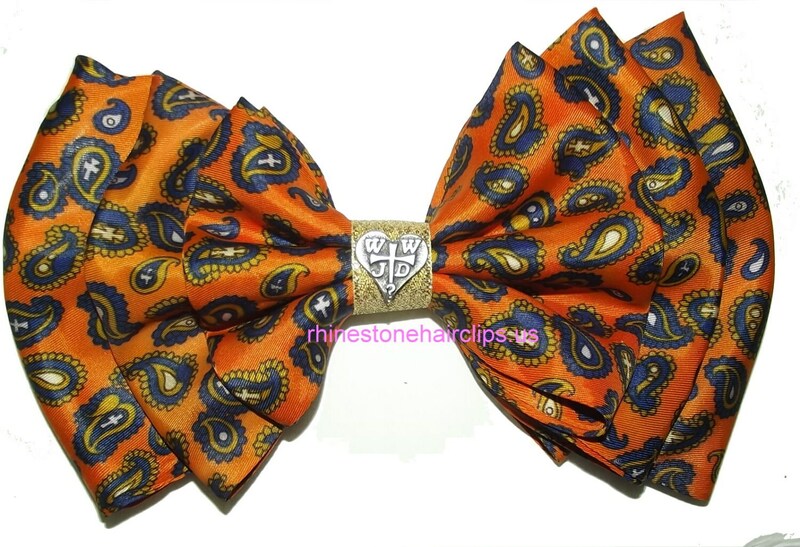 This bow has been hand crafted from a vintage scarf. 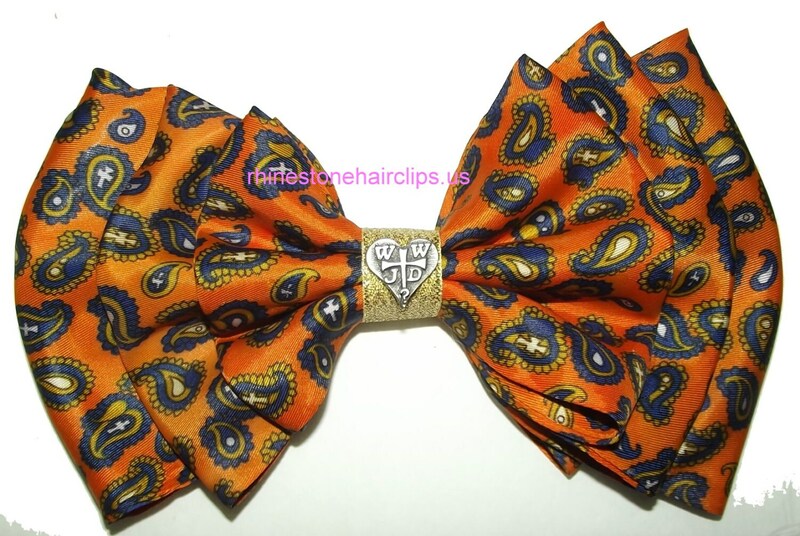 The colors are orange, navy and gold with small gold crosses in the paisley pattern and a pewter cross WWJD pin. It measures 8" x 5" and is completely hand sewn onto the 3" french barrette with no damage to the scarf. One of a kind.